Leaders to meet at Pakistan Leadership Conversation (PLC 2019) to discuss how to shape the future of Pakistan. 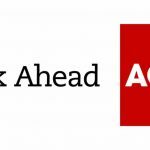 Current and future issues facing the business in Pakistan and the role of business leaders in shaping the economy will be the main focus at the annual conference ‘Pakistan Leadership Conversation 2019 (PLC 2019)’ announced by ACCA (the Association of Chartered Certified Accountants), with high-profile events in Karachi, Lahore and Islamabad starting 18 February. Pakistan Leadership Conversation (PLC) is a series of conferences that brings together prominent thought leaders from the public and private sectors and engage them in thought-provoking and future-focused conversations that aim to shape the future of society and economy in Pakistan. The conference features influential business leaders at the top of their profession and brings together hundreds of business professionals from across the globe. 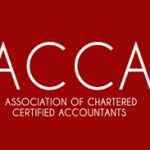 The British High Commission Islamabad has also joined ACCA as a co-organiser for this conference. The agenda at the PLC 2019 will examine a wide range of key topics from institutional reforms to global competitiveness to digital revolution. There will be six panel discussions in which experts will discuss in detail the need for strategic business leadership possessing the right blend of ethical and professional skills to meet the demands of an uncertain future. Importantly, there’s a dedicated session planned for the leading policy makers and business operators to debate the implications of China-Pakistan Economic Corridor (CPEC). Attendees will have the best opportunity to discover updates in FinTech, taxation, global trade and China’s Belt and Road Initiative and will get exposure to global thought leaders including the President of ACCA, Mr. Robert Stenhouse who will be delivering a keynote at the conference. Started in 2017, Pakistan Leadership Conversation has now become an important annual event for those who want to keep abreast with the way the business world and accountancy profession is evolving. The conference will also be complemented by three corporate networking dinners celebrating the achievement of young ACCA affiliates who have attained membership in the year 2018-19. Details of the full programme and how to register can be found on ACCA’s website. Pakistan Leadership Conversation 2019 By ACCA is a Step Forward to Shape the Future of Pakistan. Leaders to meet at Pakistan Leadership Conversation (PLC 2019) to discuss how to shape the future of Pakistan.